Give your children and pre-teens summer adventures that promote healthy body, mind and spirit! Activities include; recreational swimming, crafts, sports, outdoor education, special programming and weekly field trips. Breakfast, afternoon snack, camp T-shirt and field trips are included in the weekly fee. A dedicated and well-trained staff plans a diverse slate of activities, from team sports to arts and crafts while kids have the opportunity to give input and help create the best experience. 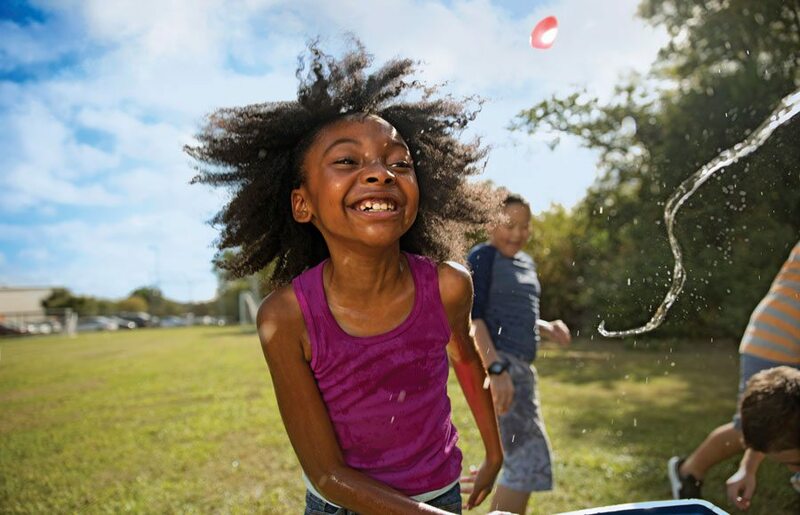 Check out the Summer Day Camp Brochures, which have all the specific information on how this safe and fun program can be THE PLACE for your kid(s) to be this summer. 1) If you have been in a YMCA program in the past, or you have a membership, your name (or your child’s) should be in our system. 2) When you click on “register for a program” it will ask you to create an account, or log in to your existing account. Please make sure that you are not already in the system as it will create a second account for you, duplicating your information. If you are creating an account for the first time, you will be asked to set up a membership type. First, select one of our Branches (HGN, Stoney Point, Marion) to be able to see the membership types. You can register for a membership or you can register as a non-member. You will have to scroll down the list to select that option. Once you have a membership type, you will be able to proceed to enroll in your child care program site. 3) When you get to the questionnaire section, you will either be asked to review and update information already in the system, or you will be asked to answer all questions. The next time you register, you will then be able to review/update. 4) If you do not have computer access, you will need to contact the Child Care Services Director at 319-366-6421 ext. 102 to make an appointment to enter the information manually. Please collect all of the names, addresses, numbers of doctors, dentists, authorized pick-ups, medications etc. as the packets are completely online and no hard copies are available. 5) You will be asked to pay a registration fee at the time you register. If you would like your regular monthly fee to be charged to a different credit card or bank account, please enter that information when you are asked to schedule your payments. 6) Any discounts for siblings or special considerations are entered after you register. Your confirmation will not reflect any of these. 7) All payments should be set up to automatically draft out of an account. If there is an extenuating circumstance where you cannot set that up, please contact the Child Care Services Director at 319-366-6421 ext. 102 to get approved for an alternate payment method. 8) The system will allow you to access your account to see and print receipts and end of the year tax statements. These are not sent automatically when payments are taken out. 9) You can also make payments or access your account at the member services desk at all of our branch locations.